I have made cherry juice a regular part of my morning and nighttime routines since the first time I tasted it. To make it even better, it is one the easiest sleep tonics you can concoct! 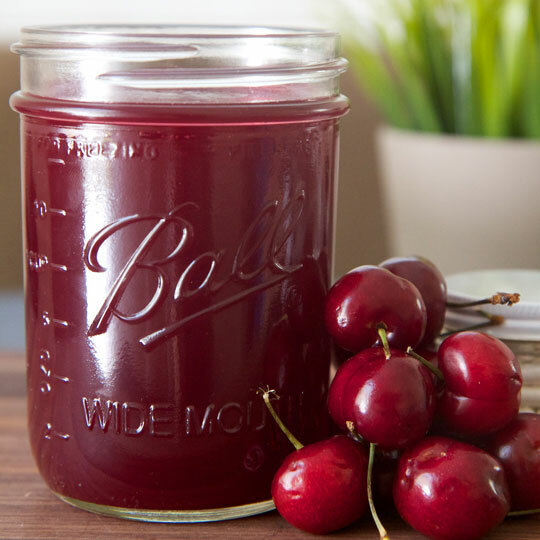 Why tart cherry juice: Tart cherries are incredibly rich in melatonin, the hormone responsible for regulating our sleep-wake cycles, so indulging in a glass of the tart but sweet ruby red liquid every morning and night will help you keep your sleep schedule on track. Why vanilla (optional): Vanilla has a soothing scent, and adding a drop of extract to your cherry juice can provide aromatherapy benefits that will help you doze off. 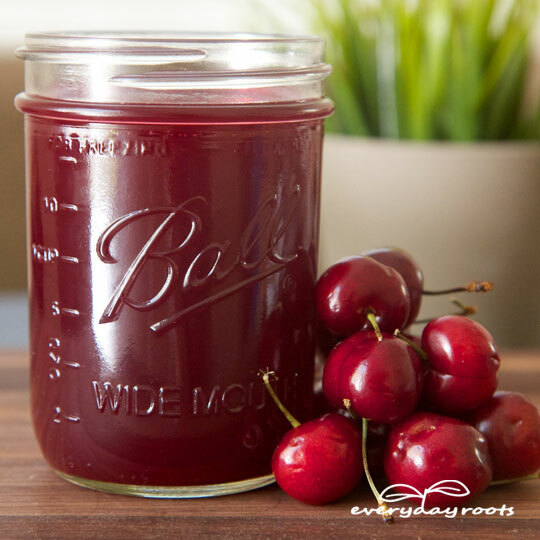 In the morning pour yourself about 5-8 ounces of tart cherry juice and drink it in its entirety. At night 1 hour to half an hour before bed repeat, adding a drop or 2 of vanilla if you desire. I would suggest sticking to using the vanilla only at night, since you don’t want to get too relaxed first thing in the morning! This tea combines two of the most relaxing herbs known to promote rest and a sense of calm-lavender and chamomile. Why chamomile: It’s not exactly pinpointed just what in chamomile gives it its sedative effects, but some research has tentatively shown that a constituent in chamomile called apigenin can bind to GABA receptors in the brain, creating a mild response similar to anti-anxiety medication, such as Xanax, does. GABA is the second most common amino acid in the body and plays a huge role in our central nervous system, calming us down and, of course, helping us relax into sleep. 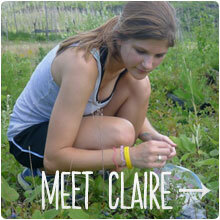 Why lavender: Lavender is a scent that has been used to relax and unwind for centuries. Recently a study showed that people exposed to its odor had a change in brainwaves patterns, suggesting that it did indeed induce drowsiness. Bring 8 ounces of water to a boil. 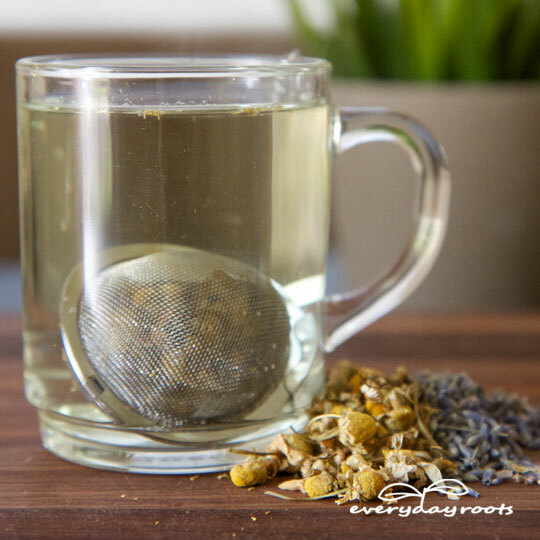 In a teaball or loose-leaf tea strainer, place 1 teaspoon each of lavender and chamomile buds. Put the straining device in your cup and pour the boiling water over it. Allow the herbs to steep for 10-15 minutes-the longer it steeps the stronger the flavor will be. Add milk and/or honey to taste. If you don’t have a teaball or something similar, simply pour the hot water directly over the herbs in a bowl and then use a kitchen strainer to remove the buds. This tasty combination of warm milk, honey, and a sprinkling of nutmeg is your ticket into Snoozefest. Why warm milk: The idea that warm milk helps you fall asleep didn’t come from nowhere, as people over the centuries could tell you it really does work, but not for the modern day reason that states it makes you sleepy because of tryptophan. Conclusive studies have been done that show milk does not raise tryptophan levels, but it can raise your internal body temperature when it’s heated, which will relax you and make you sleepy and calm. Add to this the most powerful effect of all, the placebo effect. Warm milk seems to do something psychologically that makes us calm and drowsy. Perhaps it makes us harken back to our days of infancy, and therefore makes the drinker “sleep like a baby.” Either way you look at it, there’s something about it that makes falling asleep a breeze. Why nutmeg: Nutmeg is a pretty powerful spice-so much so that it’s very possible to “overdose” and end up getting looped out, feeling incredibly ill, hallucinating, and experiencing a myriad of other unpleasant side effects. Ingested safely though it is a pretty darn good natural sleep-aid, thanks to numerous chemical components that act similar to tranquilizers-just stick to a quarter teaspoon or less. Warm up about 8 ounces of milk in your favorite mug. Heat it until it’s a little hotter than you would comfortably drink, and stir in 1 tablespoon of honey (or as little as 2 teaspoons if you prefer.) Sprinkle with a ¼ teaspoon of ground nutmeg at the most, and let it cool to a temperature that is still nice and toasty warm but drinkable. Make this about 30 minutes before bed when you start winding down, sip slowly, and enjoy! Any remedy dealing with sleeping troubles strikes a chord with me, as I myself have struggled with insomnia for over 4 years. The world we live in now just does not cater itself to a good night’s rest, with our daily lives full of caffeine, various dramas, work, and stress. If anything though, I’ve found that the fact that sleep is harder and harder to achieve for a lot of people means that it’s that much more important we actually do find a way to get as much as we need. Sleep Tip: Make your drink at least a half an hour before bedtime so you’re not waking up in the night to run to the bathroom! Where does one purchase tart cherry juice? Most local supermarkets or grocery stores carry it-in ours its by the produce aisle, but it bops around depending on the store. I find it in the healthfood isle. They also have quality vanilla in that isle. This is good news. I was wondering how I would juice tart cherries in my juicer, having to pit them first. Do you know if Trader Joe’s carries tart cherry juice? 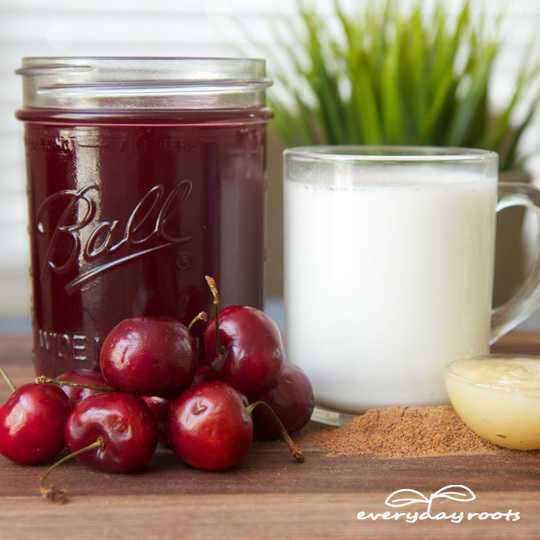 What is the reason for taking the tart cherry juice in the morning and at night, versus just at night (with vanilla) to help with sleeping? I know that both Trader Joes and Whole Foods, as well as another store called Sprouts all carry the tart juice – goes out as fast as they stock it though. Chamomile should be avoided by those with seasonal allergies. Where in Guyana u get TartCherry? Our own natural cherry. Can’t work? Would you get the same effect using almond milk? 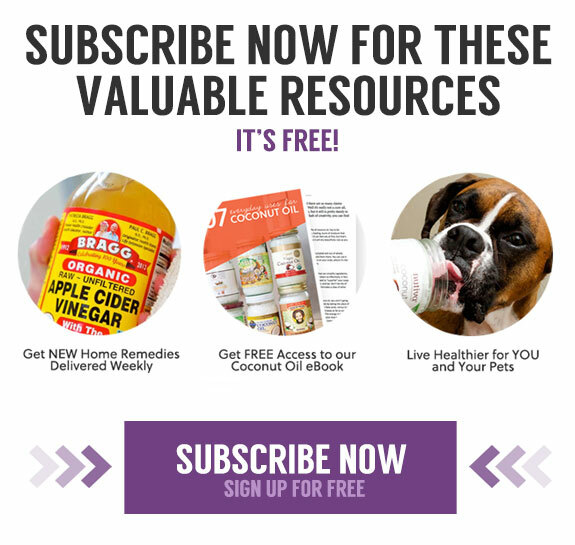 Are goat milk or almond milk ok ? I’ve never tried it but I don’t see why not-let us know if it works! Almond Milk works great also! I use this almost every night and I sleep great but I only put 1/4 to 1/2 cup of milk in the cup or I have to go to the bathroom all night long. Also my microwave has a Milk button and it heats up on only half the normal power as usual. I hope this helps! I use magnesium chloride spray on legs and belly every morning.. Sleep fit and solid every night!! where can you find quality Lavender buds?? Where do you buy tart cherry juice at? What is the cost? Trader Joes or any health food store will carry it. you could also look in the natural aisle or the juice aisle of a regular supermarket. Others have mentioned Trader Joe’s, Whole Foods, or Sprouts. 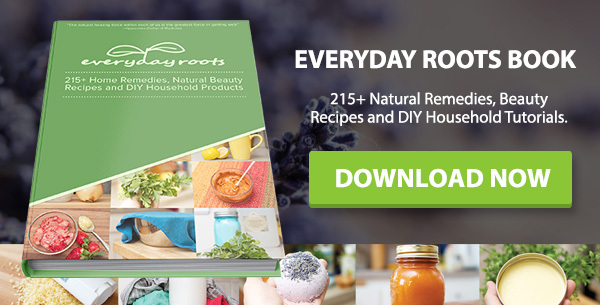 Thank you for sharing these recipes can’t wait to try them ! if you only do the cherry juice at night will you still sleep well or does it have to be done morning and night to get the proper sleep effect? 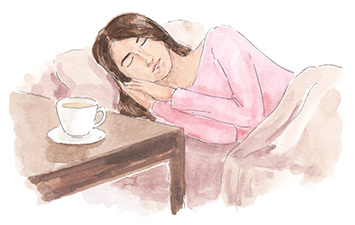 I am really hoping you can help let me know…if I only drink the cherry juice at night will it still aid sleep or does it need to be taken both morning and night to have the sleepy effect? Growing up my mother usually gives us warm milk with vanilla. I’d avoid drinking animal milk before bed as it stimulates unwanted mucus production. Also animal milk, contrary to common belief, is really not good for you. I can’t wait to try the tart cherry juice! 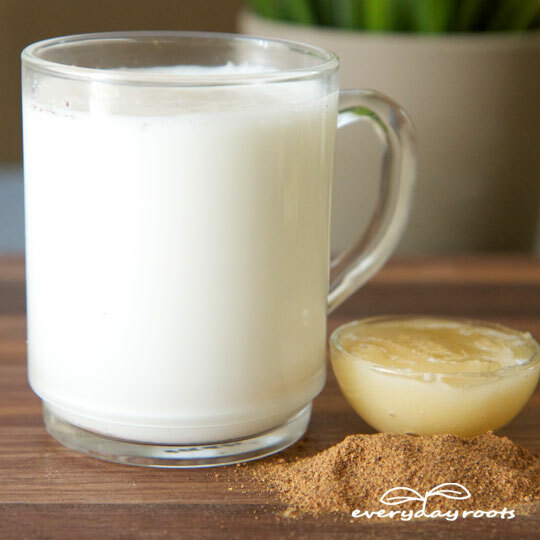 Would the milk/honey/nutmeg drink be safe for children? I don’t want to give my daughter the nutmeg if it’s going to be too much for her. Thanks! Hi, i was wondering I was trying to make the warm milky milk recipe and I discovered I didn’t have any nutmug and I still don’t go to the store till August 3rd, will it still work? Any suggestion for gout sufferers please? Is almond silk as affective as skim milk for sleep aid? Couldn’t see if it had triptophan or not. Hope these help have suffered from insomnia for a lot of years and nothing has helped before. My last resort is sleeping tablets which a do not want to take. I will try the milk and nutmeg. 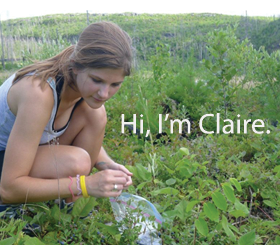 Honey isn’t good for Prediabetics. Thanks.